While no one knows exactly where poker came from, there were several forms of what could be considered poker games as early as the 16th century. It seems that it may have begun in Europe and Persia. However, it wasn’t until poker hit the United States that it really became popular. 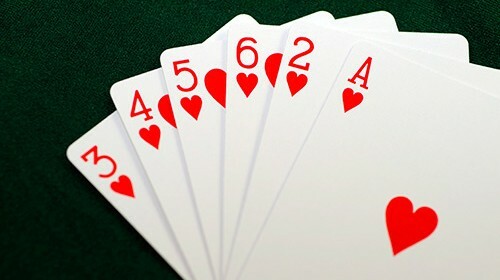 I n the early 1800s, New Orleans pioneered the game of poker in the United States. Before the Civil War began, it quickly spread throughout the West. Because of the popularity of gambling at the time, poker became widely popular as well. In those times, people traveled so often, that to pass the time they took up gambling. Professional gamblers were particularly responsible for pokers popularity. They viewed themselves as businessmen, and took advantage of the ever growing obsession of gambling. Those who weren’t professional gamblers did not have much liking for them. 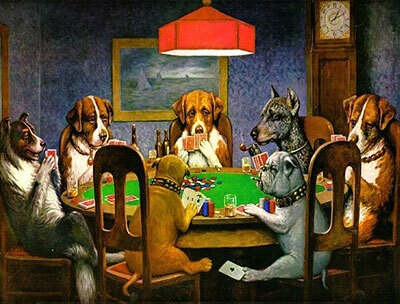 In the beginning, poker was played with only one round of betting. 5 cards were dealt face down to players and there was no draw of cards. To gain more profit for themselves, professional gamblers modified the rules. It was sometime after 1850 that wild cards and bluffing became habits in game play. Then a draw was added, and this helped the professionals, as now there was another round of betting and more skill was required to do well in the game. As poker became more and more popular, so did the dislike. Eventually, professionals had to take their game onto steamboats because gambling was banned and not allowed on land. Soon gambling houses were formed, and casinos came into existence. Casinos were “houses” that offered a variety of gambling and entertainment. Music entertained the gamblers as they gambled in games of roulette, faro and blackjack. During the Gold Rush era, poker was not nearly as popular, as many men preferred fast-paced games. Since then, poker evolved into a favorite game, branching out to many different types. Texas Hold ‘Em, Omaha, 7-card No Peak, 7-card stud, Let It Ride, Pai Gow, and Caribbean Stud — there is a game for everyone. In addition to video poker and local poker tournaments, internet poker has exploded in popularity, giving would-be players many ways to get in the game.